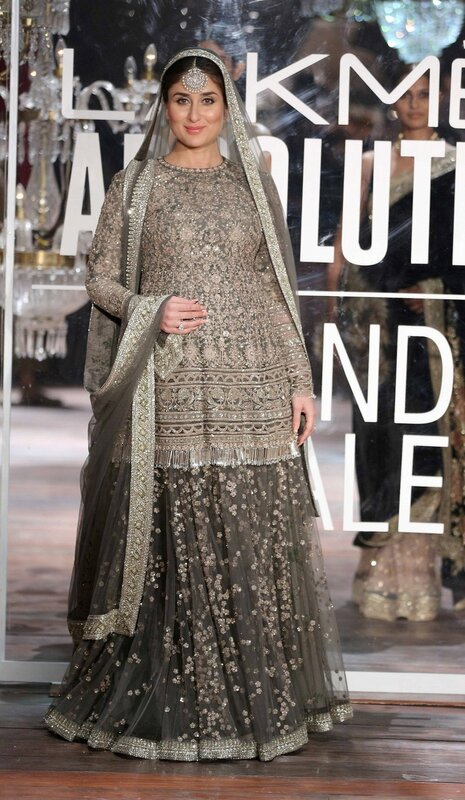 Sabyasachi Mukherjee closed the winter/festive 2016 edition of Lakme Fashion Week with a show that was everything a grand finale should be and more. The designer is clearly in a league of his own. His show, 'Illuminate' reminded us once again of his his exceptional talent as a couturier and showman. Shimmering clothes, vintage crystal chandeliers, a live performance by the Symphony Orchestra, a star studded front row and Kareena Kapoor Khan as the showstopper. All the trappings of a blockbuster runway show that is sure to keep the fashion frat talking for a long time. As much as I loved the designer's sarees, lehengas and kurta sets; it was the bejewelled micro mini dresses, use of fur, sportswear twist and statement bags that were a real highlight for me.